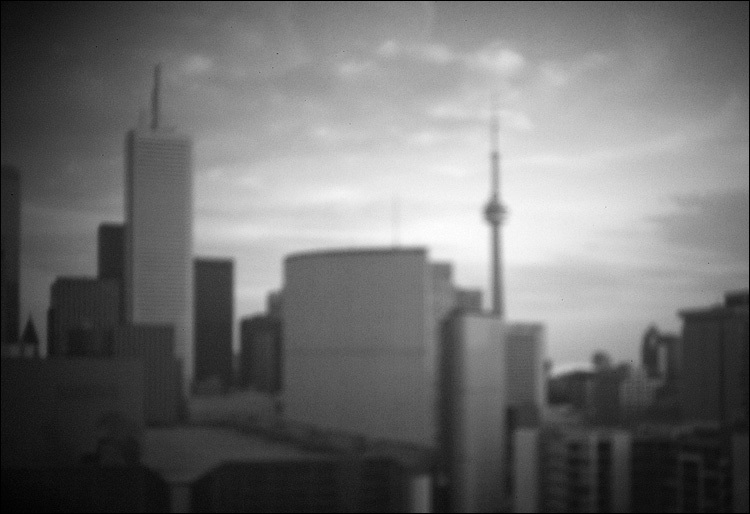 Yesterday was the Worldwide Pinhole Photography Day. Since basically any photo that is shot without a lens applies, I cut a thick piece of paper with a needle hole in the center and taped it on the camera body (as seen here). Result isn't exactly pretty, but at least it shows the dust spots on the sensor!